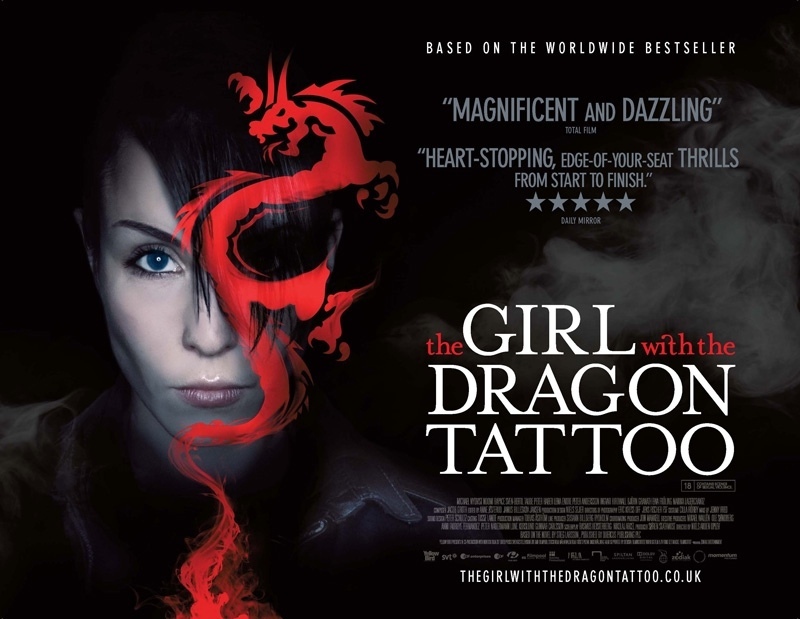 I never thought this was possible given how short my attention span has been reduced to after the discovery of the glorious internets, but yes, I am currently obsessed with The Girl With The Dragon Tattoo. The book, not an actual living person if that was what you had gleaned from the blog post’s title. I can barely take my eyes off the ebook and pause for food or any other form of sustenance. I have even forsaken my beloved TV just so I can continue page after page of absorbing scenes of the mystery thriller that is taking place before my eyes. I am nowhere close to finishing the book yet and I’m secretly thrilled that there would be two more books after this. I heard good reviews of the movie last year but I didn’t get to watch it. And recently I have seen people carrying the novel around. Most definitely due to the Oscars buzz. And after a quick check through my best friend Google, it was on the New York Times’ bestselling list in 2011. And I can see why. The book has, in so many ways, made me in awe of the responsibility and credibility of publishing a magazine. It even made me proud to consider myself as a journalist even though I have never undertaken any investigative work to expose any underhanded business deals. And in spite of the drama and crime that unfolds, it has a consistently strong moral and societal message for the readers. The book also reveals many trade secrets behind the industries it talks about. I won’t be surprised if many elements had been derived from the author’s personal life and work experiences and things that have fuelled his passion. Maybe that’s why I am so inspired and intrigued at how he has woven many pieces together that seem unrelated at first and yet these numerous layers fit perfectly like a completed jigsaw puzzle. Fascinating. Yet, I am not sure if I’d want to watch the movie after I finish the book. But if I ever were to write a book, this is definitely one key inspiration. I watched one of the movies (the most recent, American version) and I’ve been wondering if I should read the book. This blog post makes me feel like I should. I’ll definitely check it out now. I’ve got to say, I thought Fincher’s movie was pretty great too. It wouldn’t be a waste of your time. I’ve also heard that the Swedish movie adaptation is even better than Fincher’s one, but I can’t verify that myself. Hm … I think I’m going to get this book next!